These stunning stones of emerald green are famous for their elegance. Since the ancient time they have been used to make various pieces of jewellery, including pendant necklaces, tiaras, brooches, and of course rings. Emeralds are thought to represent love, hope, and tranquillity. Columbian Emeralds in particular, are said to be the purest in the world, due to their formation in the sedimentary host rock of the Andes Mountains. 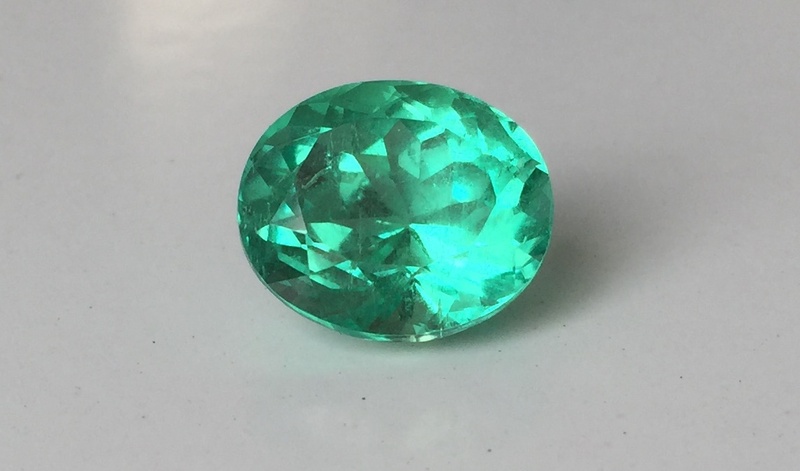 If you are considering purchasing these brilliant green stones for jewellery or other purposes, recognising some of the benefits is critical to a good decision. Emeralds usually sit in a spectrum of blueish green to deep forest green, all featuring incredible saturation of colour. However, Colombian emeralds are said to have far more intense pure green colouring and incredible transparency as well. Each stone’s colouring is going to affect the price of the piece, so consider multiple options before choosing the right colour for you. Emeralds are difficult to cut for any jewellers due to the fact that almost all stones have significant fractures. This is again due to their formation billions of years ago. Additionally, emeralds can be quite brittle, and can occasionally vary in colour through the piece, so this requires a master jewellers innate attention and control in order to create the perfect piece. Not surprisingly, most emeralds are cut in the emerald cut shape: a rectangular, stepped cut. Emerald can come in a large range of carats, all of which increase or decrease the price, depending on the size. Most stones are roughly one to five carats large, though some as large as twenty carats are not unusual. SPJ is recognized for its collection of Columbian Emeralds, which comprise of 70-90% of the world’s emeralds. Our skill and expertise with these gorgeous green stones is unmatched, so contact us today to find out more.